From Freddie Mercury to Aretha Franklin, some of the greatest modern singers were influenced by opera. So, why is opera still popular despite being centuries old? Fred Plotkin might know the answer. Plotkin, a universally recognized opera expert, travels the world teaching audiences about opera. On Tuesday, February 12, 2019, he will speak in room 117 of the UCF Teaching Academy as the part of the 10th Neil R. Euliano Professorship Lecture Series. Plotkin’s lecture is called “Why Is Opera So Popular?” and is free to attend. For Plotkin, appreciating Italy is a full-time job. He has worked in opera and classical music since 1972 — stage directing for La Scala, Milan, managing the Metropolitan Opera, consulting for the National Endowment of the Arts and more. He has written for the New York Times, Newsweek, GQ, Food & Wine and dozens of other publications. 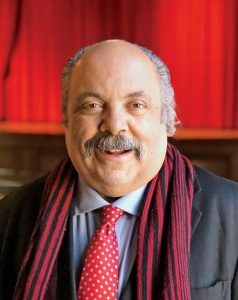 At New York University, he teaches a series called “Adventures in Italian Opera” and has also lectured at Brown, Columbia, Julliard, Caltech and the Universities of Oxford and Bologna. “I hope guests will come away from Plotkin’s lecture with a better understanding of and appreciation for Italian opera, as well as a sense of the types of activities the UCF Italian program puts on thanks to the generous gift from the Euliano family,” said Mazzucchelli.